2 Bedroom Terraced House For Sale in Sheffield for £160,000. An internal inspection is absolutely imperative to appreciate the size and standard of accommodation on offer in this beautifully presented much larger than average two bedroomed terraced home, located on a cul-de-sac in the heart of sought after and highly convenient Hillsborough. Offering spacious accommodation over two levels having the benefit of double glazing, GCH, offshot kitchen and bathroom, forecourt and rear garden with views over Hillsborough park. Hillsborough is a popular and highly convenient suburb with busy shopping centre at its heart providing a large range of local shops and supermarket chains. The Bus Station and Supertram network offer superb transport links to the city, principal hospitals and universities. Local schools include Hillsborough Primary, Malin Bridge Primary and Sheffield College. With local pubs, restaurants, cafes and take-aways. 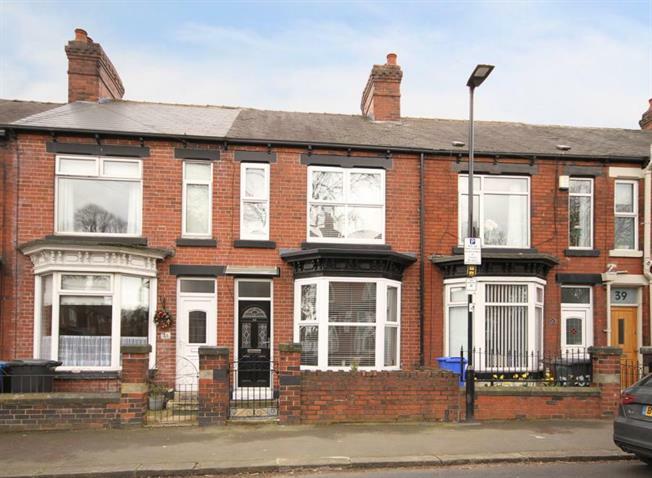 Further amenities include a beautiful Victorian park, home to the Tramlines festival, local library and leisure centre. On the first floor, the spacious Master bedroom has a pair of windows to the front offering lots of natural light, carpeted. Bedroom Two is carpeted with rear window offering flexible accommodation as second bedroom, nursery or study. The bathroom has three piece suite comprising WC, wash basin and corner style bath with shower over, tiled splash backs and wood effect flooring. To the exterior of the property is a walled forecourt with gate to the front and to the rear a garden area providing an excellent outdoor seating and entertaining area. An early viewing is essential.